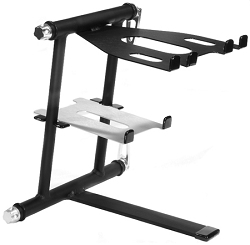 Ergonomic Compact Laptop Stand, with sturdy style, 4 to 13" Adjustable Height, Folds Flat and Easy to Set Up! 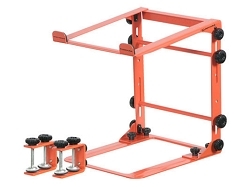 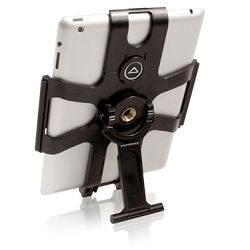 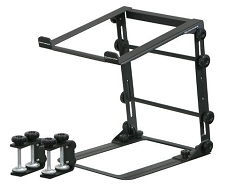 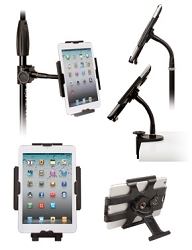 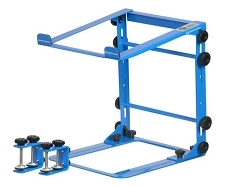 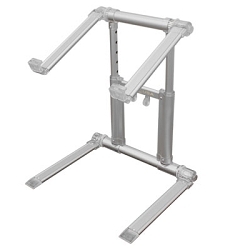 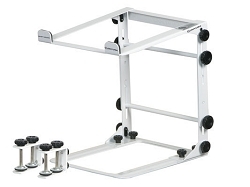 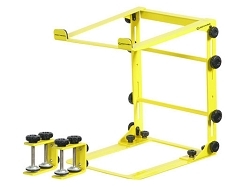 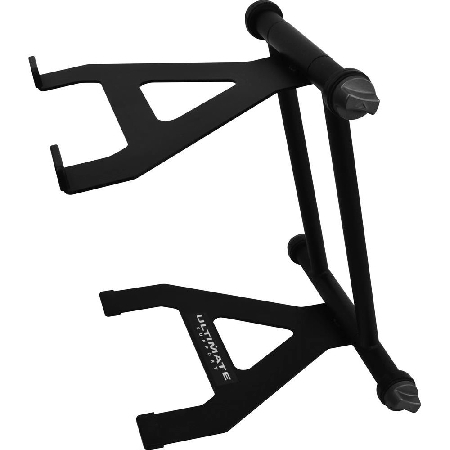 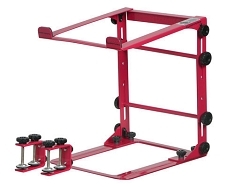 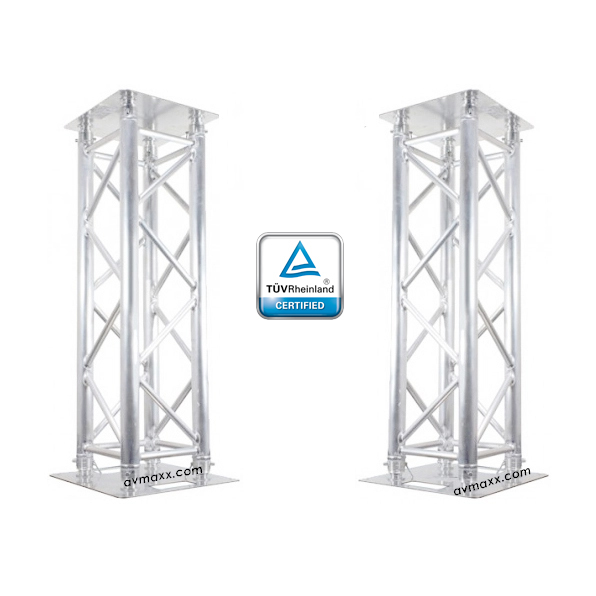 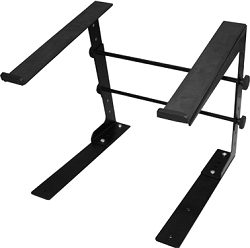 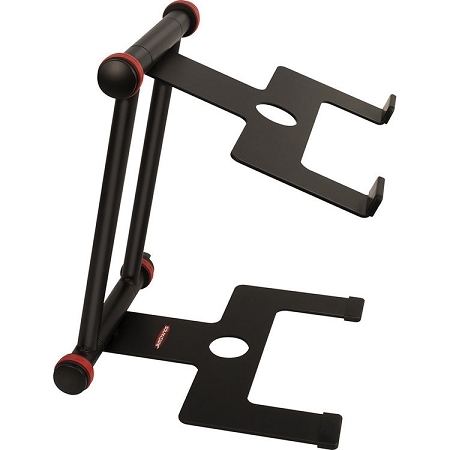 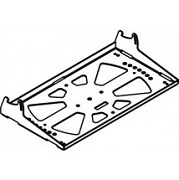 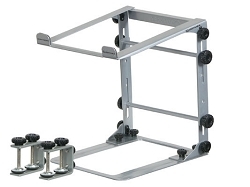 Shop the largest in-stock selection of DJ Laptop Stands the industry. 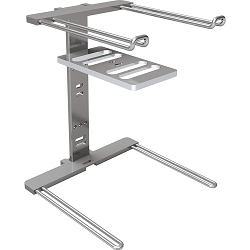 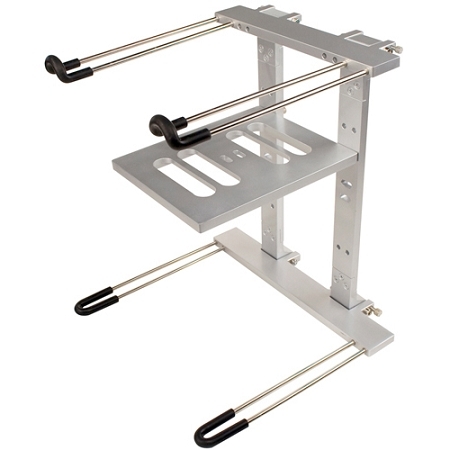 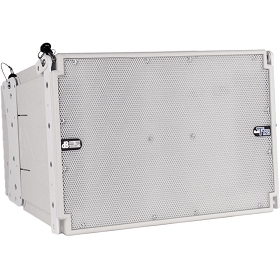 Our inventory includes Laptop Stands constructed from aircraft-grade aluminum and stainless steel - built to endure the rigors of the road. 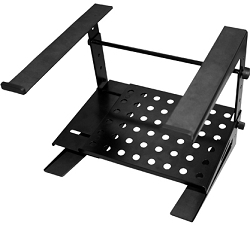 If you need any help ordering online or have any questions in general about laptop stands, give us a call on our toll-free number at 800-249-9450. 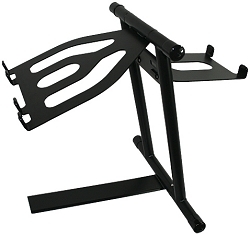 One may overlook the importance of having a good quality laptop stand, but some fail to realize that laptops stands are very important for DJs to have. 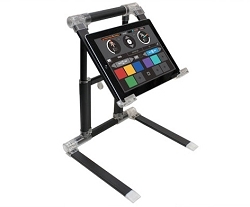 Most performance venues and DJ booths just weren't designed to accommodate a laptop - and that can be such a drain when you're trying to set up your rig the way you like. 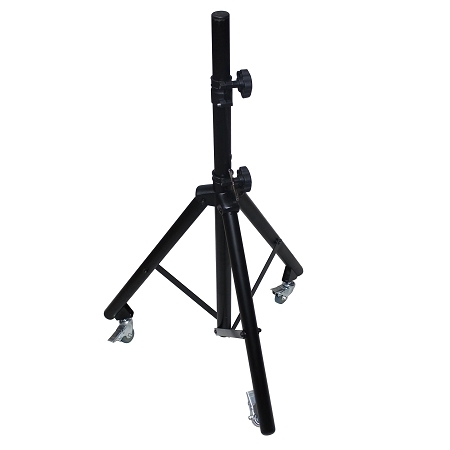 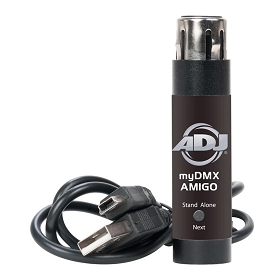 Many DJs never consider stands as a critical part of a live-performance rig, until they get onstage and realize how difficult it is to reach everything. 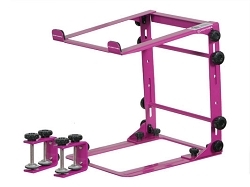 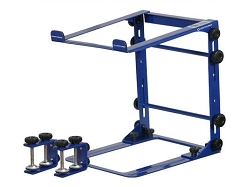 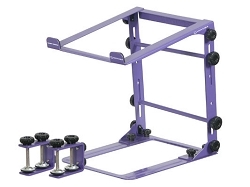 DJ stands are totally customizable, so even if you start off with a modest laptop and controller setup you can fit on a single platform and steadily upgrade until you need a series of additional holders, you can always build onto the stand you have. 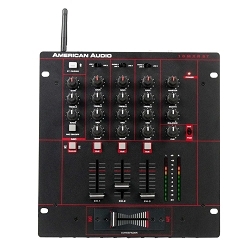 They also keeps your laptop securely at eye level, just where you need it, above a keyboard controller, recording control surface, mixer, or DJ decks. 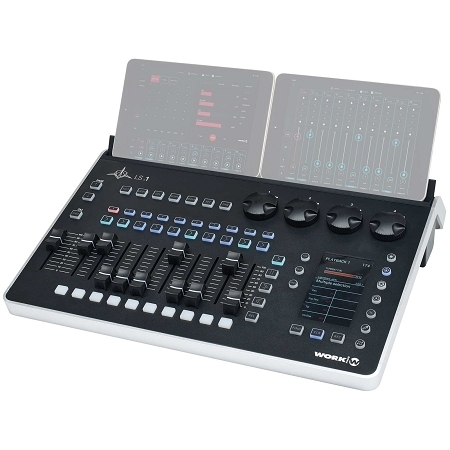 If you've put the time, effort, and investment into getting the right gear for your DJ rig or electronic-music-production system, then there's no sense in letting it all fall short because you don't have the right accessories to put it all together. 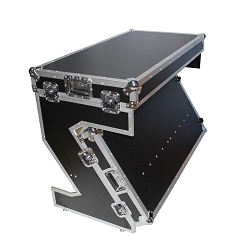 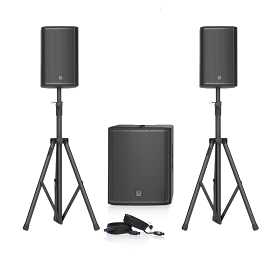 Take it from the experienced performing DJs and a longtime producers, ergonomics and workflow are everything, and whether it's having the right set of stands onstage, the right bags to get you to the show, or even just the peace of mind you can get from the right protection, there are essential DJ accessories any setup demands. 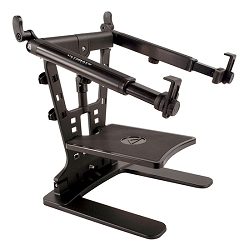 Besides helping your DJ Work-flow at an event it is important to know that if you spend hours every day hunched over a laptop at your desk, it is recommended to get a laptop stand. 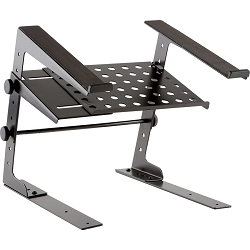 Paired with a mouse and an external keyboard, a laptop stand can help fix your posture and reduce neck and arm pain. 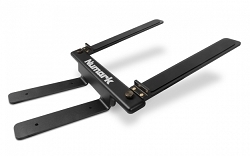 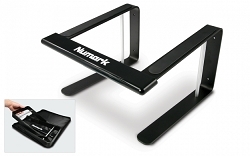 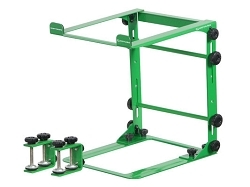 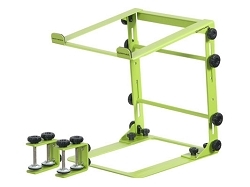 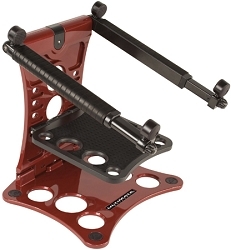 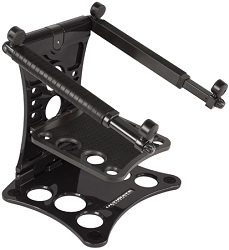 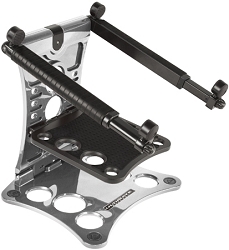 Whether it’s white or black, green or red, or big or small, AVMaxx provides the best selection of laptop stands from many different name brands like Odyssey, Ultimate Support, Crane, Staton, American Audio, Numark, and Pro X. 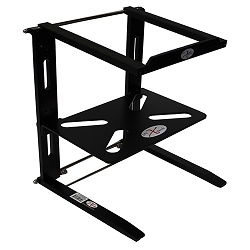 Laptop stands are essential to have when you need a portable, sturdy stand for elevating a lighting controller, small mixer, CD player, multi-track recorder, and other small electronics to incorporate into your set up.